Maximum Power Point Tracking (MPPT) is a technique used to get the maximum possible power from a solar panel. It is achieved by putting a variable load on the panel so that it achieves its optimum output voltage, and then converting that voltage to the optimum required by the battery. The effect of this can be to produce output up to 30% higher than a similar panel without this technology. 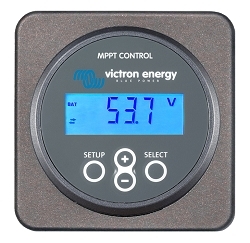 This Victron MPPT charge controller automatically adjusts for 12 or 24 volt systems. 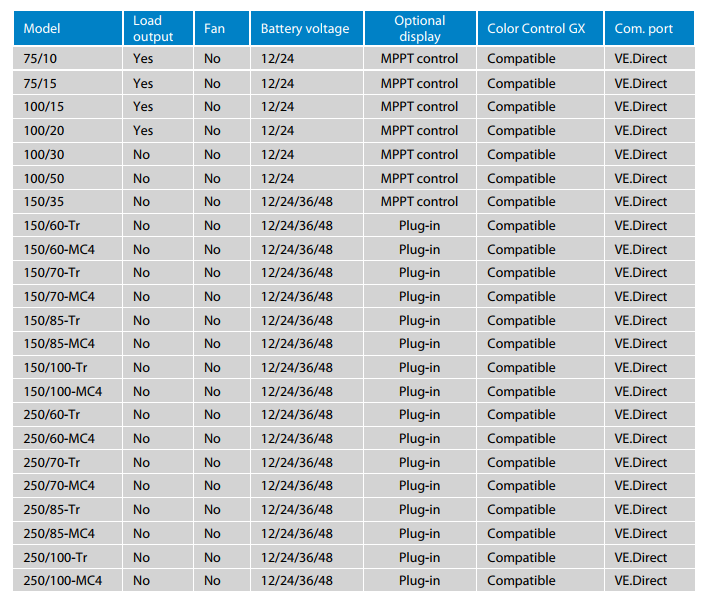 Q: can you parallel two MPPT charge controllers together to add power at a later date? 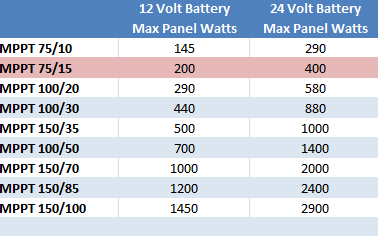 Q: Does the Victron MPPT 75/15 really can use step up tehnology , so it can charge when panel voltage is below 12v? I heard that the MPPT charge can go down to 8v, is it true? A: There is no stepping up. The input voltage has to be greater than the output voltage. However the panel voltage varies with load as well as with the amount of available sunlight. 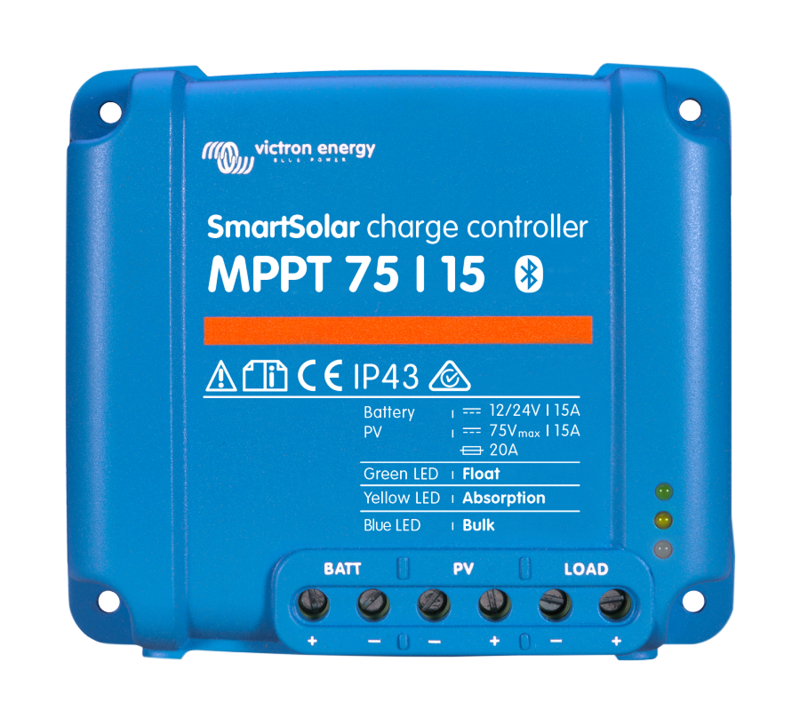 The MPPT controller automatically manipulates the load on the panel to keeps its voltage high for as long as possible. That’s how it is still able to get useful power in low sunlight when a straight connection from panel to battery would produce nothing. Q: Will it work with lifepo4 batteries? Why do some not have sub port? A: Yes it will work with Lithium Batteries. 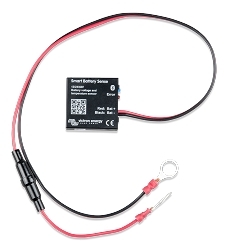 You have to program it using one of the three ways available (Color Control GX, VE Direct to USB connection, or with the MPPT Control) You then have to set the maximum voltage the charger will provide to the level recommended by your battery manufacturer. Q: I am going to be using this charge controller to charge a battery for use away from the solar panel area during the night. So the battery will be disconnected each night and reconnected in the morning. Nothing will be connected to the load terminals of the controller. 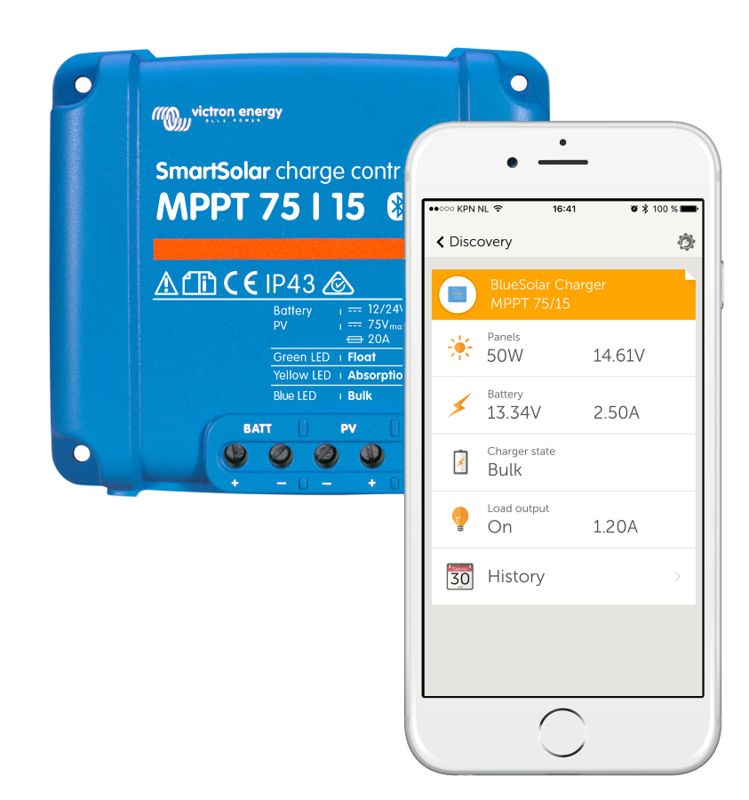 Do I need to have a disconnect switch between the solar panels and the controller to disconnect them when battery is not connected? A: Yes you should have a disconnect switch. You should connect the battery first because the controller has to recognize what voltage the battery is (this controller works for both 12 and 24 volts and it has an auto recognize feature). Then once the battery is connected and recognized you can turn the switch to connect the panel to the controller. Q: I see that multiple controller will not coordinate charging, but does the output of one panel, cause the other controllers to sense a higher voltage that is not representative of the actual state of charge of the bank e.g. do the outputs of the different panels interfere with the most efficient charging of the bank ? A: I get asked this question so often I wrote a Blog post. You will find it in the Blog section of this site. The title is "What happens when I have multiple charge sources charging a single battery bank"
Q: No mention of LiFePO4 here, is programable for LiFePO4? A: Yes, there is a pre-made program for that. You can also set the parameters individually to achieve the same effect. Q: What size is the largest wire we can use for PV input? 10 gauge? 8 gauge? A: 10 awg works comfortably, 8 awg doesn't really fit.